The Department of Respiratory & Critical Care Medicine is a well-equipped facility committed to transforming scientific findings into effective treatment options required for respiratory diseases, critical medical disorders and sleep disorders. Bronchoscopy is a common procedure done in order to determine causes of abnormal imaging on chest xrays and CT scans. This usually was a limited approach since the bronchoscope earlier was a rigid one with restricted entry. Now with our flexible bronchoscopy, our physicians can go deeper into your respiratory system, and can perform various procedures including biopsies, fluid suctioning, and cancer detection. This aids our pulmonologists to accurately diagnose your condition and also treat* it at the same sitting. This is a novel, highly effective outpatient procedure performed to diagnose stage of lung cancer, evaluate pulmonary nodules, detect lung infections, identify other lung pathologies without creating much discomfort for the patients and without the need for open surgery. Our skilled physician inserts a special bronchoscope through your mouth into your windpipe which is fitted with an unltrasound to display real-time images of your airways, lungs and nearby structures. This also enables our doctors to collect biopsies if needed for further evaluation in the same sitting for evaluation of cancer and other diseases. Medical thoracoscopy has gained a new platform with the advances in optics, laparoscopic techniques and video technology. Now video-assissted procedures aid thoracic surgeons to work up idiopathic pleural effusions, determine the stage of lung cancer, perform therapeutic pleurodesis, site-directed biopsy etc. It is a procedure to look directly at the airways of your lungs through a thin, tube. Inserting this will enable our doctors to see the patient’s voice box, throat till the large airways. Our doctors utilize this to remove secretions or blood, control bleeding, remove foreign objects, remove tissues for biopsies etc. With this, it is easy to manage many complications that might arise in a patient of respiratory disease, cardiac patients etc. Our Critical care medicine department offers a comprehensive critical care for patients who suffer from emergent life threatening illnesses such as acute asthmaticus, status epilepticus, acute lung injury, acute respiratory distress syndrome, acute kidney injury, Gastrointestinal bleeding, and shock. 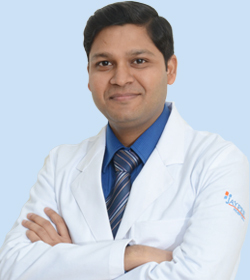 Our doctors are specialized in Critical care medicine to aid our patients to recover from such fatal diseases. It is a machine similar to the heart-lung bypass machine used in a open-heart surgery. It is a device that oxygenates a patient’s blood outside the body, allowing the heart and lungs to rest. This novel machine is helping patients recover from heart and lung failures, recovery from cardiac surgeries, offering support during high-risk catheterization procedures. It is with great pleasure that we own a machine of this kind to serve our patients with the best of its ability. This is a laboratory for evaluation of patients with pulmonary disease. This is called a pulmonary function test to assess the patient’s breathing ability and to assess how well the patient’s lungs are working. These tests provide our doctors a qualitative and quantitative assessments and the effectiveness of current treatment regimen. This state-of-the-art laboratory enables our patients the highest standard of care and early recovery. It is a common sight these days to showcase massive hemoptysis where a patient coughs up a lot of blood from the lungs. This is seen as a symptom in many diseases such as bronchietasts, sarcoidosis, cystic fibrosis, lung cancer, tuberculosis. Here at our department we manage the case with the best procedure under the guidance of skilled surgeons with bronchial artery embolization. Many patients have trouble sleeping with disorders like sleep apnea, insomnia, narcolepsy, restless leg syndrome, nightmares, sleepwalking and REM sleep disorders. Our centre here has a sleep study to evaluate patients with non-invasive, overnight examination that allows our sleep experts to monitor your behaviorssuch as your eye movements, oxygen levels, heart and breathing rates, snoring and body movements. An EEG monitors the patient’s brain activity enabling our doctors to exactly diagnose the problem and suggest solutions. Bronchoscopy Unit: Equipped with advanced bronchoscopy system for diagnostic and therapeutic procedures. EBUS (Endo Bronchial Ultrasound): This is specifically designed for diagnostic biopsies for mediastinum and staging in the lung cancer. Medical Thoracoscopy Unit: Helps to visualize and intervene in patients having various types of pleural diseases with more precautions. Pulmonary Function Testing (PFT) Lab: There are 2 pulmonary function laboratories that ensure accurate results in Spirometry, Diffusion studies of lungs and Body Plethysmography. Spirometry and Diffusion (DLCO): Portable PFT device with automatic calibration technology for slow & forced spirometry, and single breath CO Diffusion for DLCO with Trueflow ultrasonic flow sensor technology. Body Box: The Body Box 5500 series is a pulmonary function instrument with a quick-release absorber ensuring full fidelity gas analysis. Intensive Care Unit: The 150 bedded fully-equipped ICU offers latest monitoring facilities, excellent backup system, and highly advanced ventilators. ECMO (Extra Corporeal Membrane Oxygenation): ECMO is an extracorporeal technique of providing cardiac and/or respiratory support to refractory respiratory & heart failure patients. Sleep Lab: It has 24 channel sleep system to carry out polysomnography studies. The sleep laboratory is the most sophisticated laboratory having additional sensors, hardware and latest software.